Forget the straightener, curls are back! 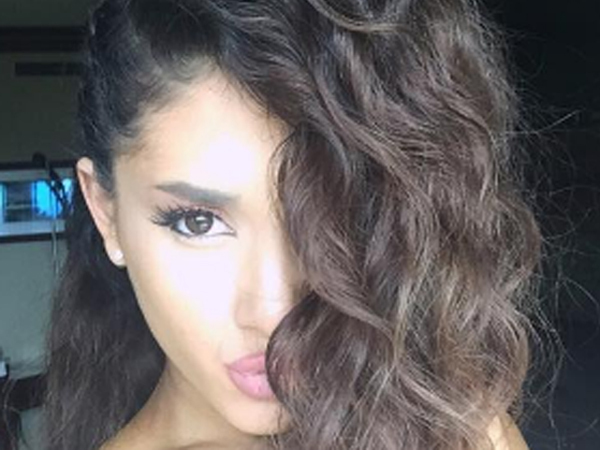 Ariana Grande may have started the latest hair trend, and all by accident. Last year, she posted an image of four photos, each featuring her very curly head of hair photographed from a different angle, on Instagram. She captioned the shot: "Peekaboo healthy curls, long time no see". No kidding. Sleek and straight has been Hollywood's style du jour for so long, we've forgotten how many leading ladies sport natural curls because they're so busy getting blowouts, apparently with the express purpose of eliminating even a hint of a kink. Now style-makers and trendsetters are following Grande's lead, and they're not just opting for waves either. Tight curls, ringlets and even looks straight out of a 1980s home perm kit are being seen on catwalks, at premieres and on screens big and small. Last month, former Mad Men star Christina Hendricks wore a gorgeous black dress covered in sequins at the opening of designer Vivienne Westwood’s new store in Paris. But it wasn't her dress or her famous cleavage that attracted most attention, but her hair - parted in the middle with very tight, bouncy curls. Fallin' hitmaker Alicia Keys has been getting lots of media coverage lately for her all-natural looks and her #nomakeup campaign which has evolved into a 'no blowouts' trend too. On Sunday she posted a video on Instagram announcing a secret show. It has already been viewed by more than 500,000 fans with hundreds of commentators telling Keys how much they love her gorgeous, naturally curly hair. One of 2016 Paris Fashion Week's models-of-the-moment Joan Smalls is getting in on the trend too, letting her long ringlets down on catwalks and at parties all over the city. Also spotted letting their curls out to play lately: Body On Me singer Rita Ora on Jimmy Kimmel Live!, Maleficent's Juno Temple at the May, 2016 Dior Cruise Show in Oxfordshire, The Danish Girl actress Amber Heard at the Palm Springs Film Festival in January, 2016 and Love Me Like You do hitmaker Ellie Goulding at last month's Bridget Jones's Baby premiere in London. Want to embrace the trend but not sure how because you've been too busy flat ironing? There are plenty of how-to videos on YouTube including Bustle's '3 Different Ways to Curl Your Hair' which demonstrates easy methods to achieve Old Hollywood waves, loose waves and beach waves. Put down that hairdryer and get your curl on, girl!